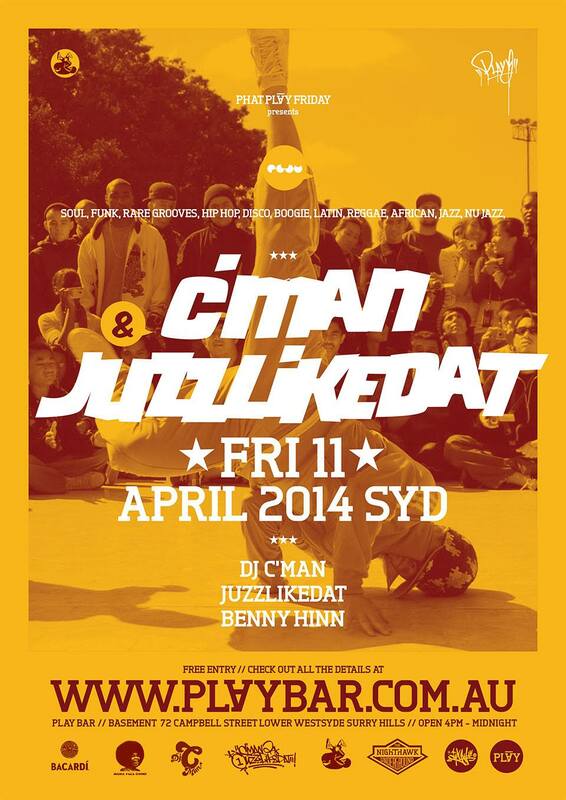 EVENT: DJs CMAN & JUZZLIKEDAT @ PLAY BAR | FRI 11TH APRIL | SOUL OF SYDNEY FEEL-GOOD FUNK SOUL DISCO vibes & beyond. This entry was posted in sydney funk and tagged dj cman, dj juzzlikedat, funk, JAZZ VIBES, mama feel good funk collective, PLAY BAR, soul, soul of sydney, surry hills. Bookmark the permalink.